The experience of riding in the 2019 Porsche Cayenne borders on the sublime thanks to the unparalleled comfort it provides. This luxury SUV’s impeccable inside-out design is anything but middle-of-the-road, and that’s what you expect from Porsche. 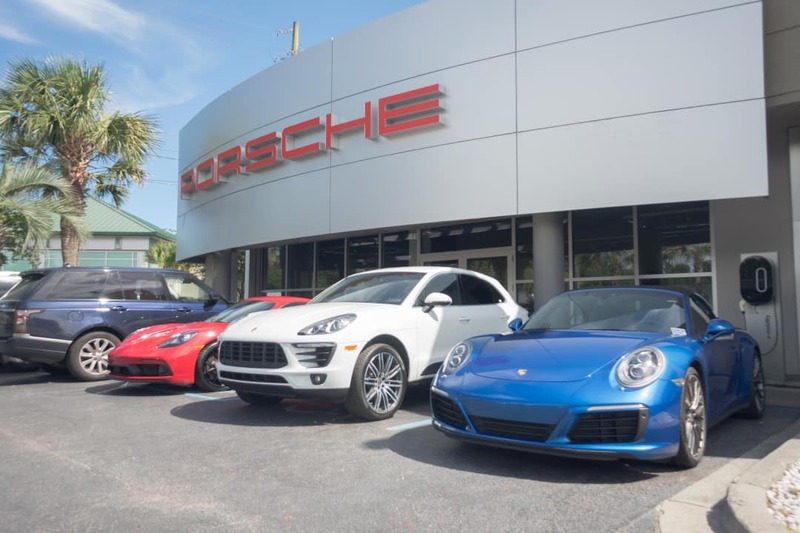 If you’re interested in the Cayenne or anything else from the Porsche portfolio, head on over to Porsche Charleston. Enjoy a test drive around Charleston with one of our friendly team members. 2019 Porsche Cayenne. Premium Package Plus, 20" Cayenne Sport Wheels, Adaptive Air Suspension Porsche Active Suspension Management, BOSE Surround Sound System, Panoramic Roof System, Porsche Surface Coated Brakes, 14-Way Power Seats with Memory Package, Power Steering Plus, Rear Axle Steering, Seat Ventilation. MSRP $88,230 Build Sheet Available Upon Request. We would be happy to answer any questions you may have. Stop by our dealership or give us a call for more information.